ON Wednesday, May 9, pre-match at the home game against Kilmarnock, a joint initiative between Celtic FC Foundation and partner Glasgow NE Foodbank will once more address issues of poverty and hunger in our society by collecting items and distributing to those in need. We would like to invite all supporters who are attending the match against Kilmarnock to bring along a donation if they can. Even one item from the list can make a huge difference to someone’s life. There will be three drop-off stations: The Clover on Celtic Way (main collection) and the West and East drop off areas along Janefield Street. Please note that this is not a cash collection. Celtic FC Foundation Chief Executive, Tony Hamilton said: “With more than one in four children in Scotland living in poverty, the need for the provision which foodbanks, and charities such as Lodging House Mission make available, is still an essential commodity on a daily basis. “Our partnership with the Glasgow NE Foodbank, based at Calton Parkhead Parish Church, remains a vital priority for us and those within the community surrounding Celtic Park. 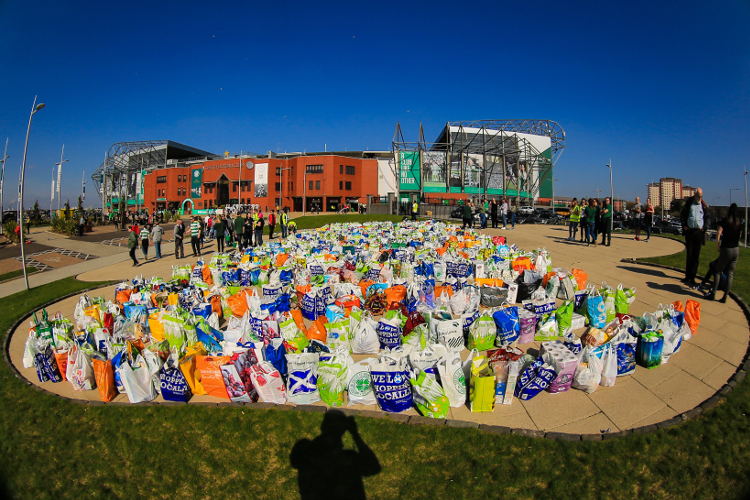 We have had a phenomenal response from Celtic fans with previously organised collections, and I’m confident that the pre-match collection on May 9 will be no different”. Tara Maguire, Glasgow NE Foodbank co-ordinator, said: “Once again we are calling on the tremendous fans of Celtic Football Club to support six services assisting those across Glasgow and the West. “Our numbers continue to grow, and from April 2017 to April 2018, with the support of these regular collections at Celtic Park, we have assisted 4,186 men, women and children with emergency food provision – 2,988 adults and 1,198 children.